TV: 7 p.m. ET, ESPN, Altitude (Denver), NBCS Philadelphia LINE: 76ers -4.5; O/U: 230.5. The Denver Nuggets battle the new-look Philadelphia 76ers on Friday night. Both teams are looking to put an end to their losing streaks. The Nuggets and 76ers have lost two straight games, so they’re clearly desperate to get the win. The Nuggets lost consecutive road games against the Pistons and Nets. D’Angelo Russell finished with 27 points and 11 assists, making six of Brooklyn’s 19 3-pointers to help the Nets overcome the Nuggets 135-130 last Wednesday. Nikola Jokic carried the Nuggets with 25 points, 14 rebounds and 10 assists for his 10th triple-double of the season. Mason Plumlee had a season-high 24 points on 10 of 12 shooting against his former team. Jamal Murray added 19 points and 11 assists after missing six games with a sprained left ankle. The Denver Nuggets outrebounded the Brooklyn Brooklyn Nets 48-40. They also outscored them 66-50 in the paint but they were just 13 of 35 (37.1 percent) from beyond the arc. After an incredible 113-104 road win against the Warriors, the 76ers lost to the Kings and Raptors. Joel Embiid exploded for 37 points and 13 rebounds for his league-leading 44th double-double. Ben Simmons scored 20 points and Jimmy Butler added 18. The Raptors outrebounded the Sixers 42-34 in Tuesday’s 119-107 win. It forced them to turn the ball over 18 times and limiting them to just 7 of 24 (29.2 percent) from 3-point range. 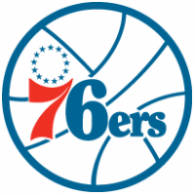 The 76ers traded rookie Landry Shamet, Wilson Chandler, Mike Muscala, their 2020 first-round pick, the Heat’s 2021 first-round pick and their 2021 and 2023 second-round picks to the Clippers for Tobias Harris, Boban Marjanovic and forward Mike Scott. Adding Harris gives the Sixers one of the best starting lineups in the NBA. Even before the trade the 76ers were the only team with four players averaging at least 17.0 points per game. With Harris, they have a fifth. At the trade deadline the 76ers also added Rockets forward James Ennis for swap rights to a 2021 second-round pick. They sent Markelle Fultz to the Magic for Jonathon Simmons, the Thunder’s 2020 first-round pick and the Cavaliers’ 2019 second-round pick. Ennis and Simmons will help add depth to their bench and contribute right away. 8-3 ATS in their last 11 Friday games. 5-2 ATS in their last seven games against Eastern Conference opponents. 7-3 ATS in their last 10 games against a team with a winning percentage above .600. 6-13 ATS in their last 19 games against a team with a winning percentage above .600. 4-9 ATS in their last 13 games following a double-digit loss at home. 2-5 ATS in their last seven games playing on two days rest. Tobias Harris, Boban Marjanovic, Mike Scott, James Ennis and Jonathon Simmons should debut with the 76ers on Friday but it’s hard to know what to expect from them in terms of playing time and how their teammates will gel together with them. The Nuggets have better team chemistry and they will play with a sense of urgency. They can’t afford to lose this one. I like Denver to be competitive and also keep in mind that the road team is 19-6-1 ATS in the last 26 meetings.